For the last few years, my town does this neat event called “Festival of Trees” where different organizations decorate a tree according to their specific theme, that is scattered through our armory (which is also our community center.) This year not only is the elementary school decorating one but our girl scout troop is too. Our girl scout troop is doing snow sport theme, which isn’t the easiest them to work with, let me tell you. Our girl scout troop is divided into Daisys and Brownies, so we are doing two different kinds of ornaments……..wooden sleds for the Daisys & borax snowflakes for the brownies. 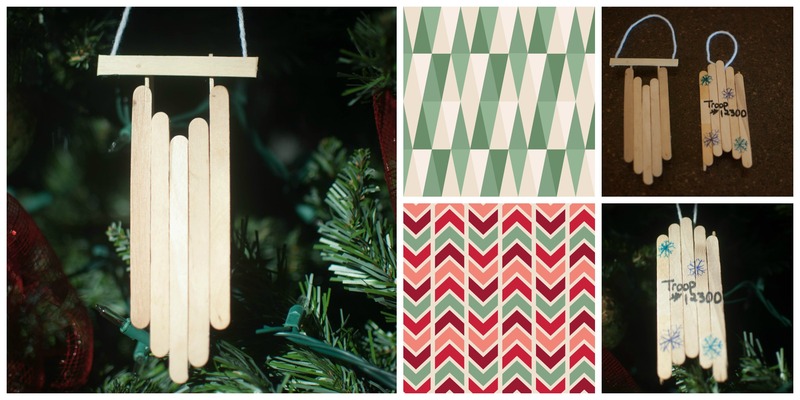 Both ornaments were fun to make, simple enough to the kids to do, & cheap to make. The snowflakes were fun to watch crystalize over a period of 12 hrs. The girls kept coming back to check every so often. The sleds were also fun to make since the girls got to use hot glue. They also enjoyed customizing them, since they could color them any way they wanted. * Take one pipe cleaner and cut it into three equal parts. *Take the other pipe cleaner and cut it into 6 equal parts. *Take the 3 longer pieces & twist together forming a star shape. *Take the smaller pieces and twist around the end of each star, turning it into a snowflake. *Boil enough water to submerge the entire snowflake. Once boiling, pour into container that fits the snowflake comfortably. *Pour borax into container and stir well. This part is very important, you need to mix well, making sure there isn’t any borax on the bottom or it won’t work. *Take snowflake and tie fishing line around it. 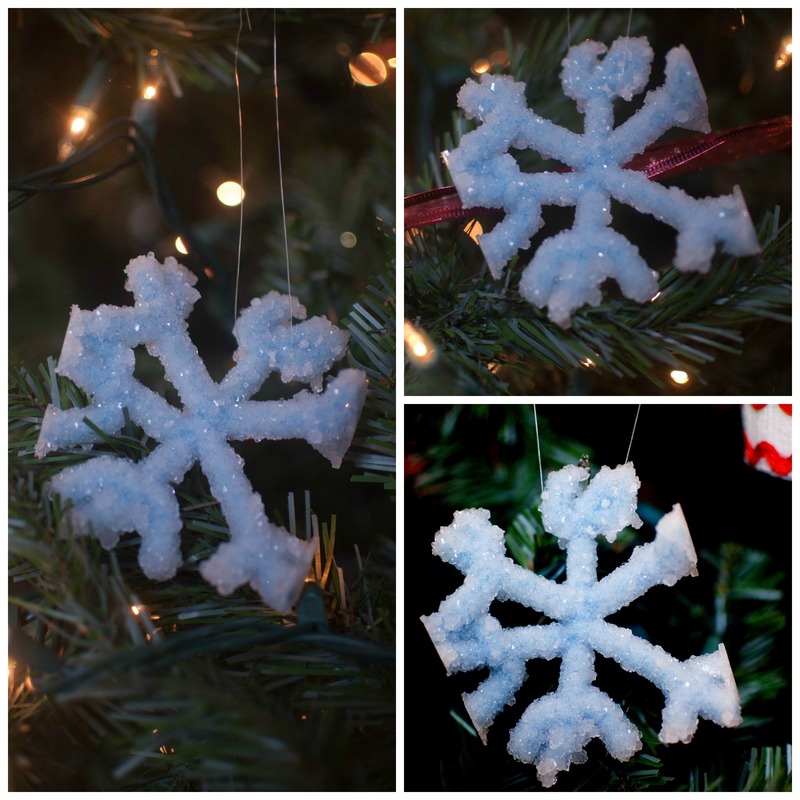 *Place snowflake into the borax solution and have it hang from the pencil. *It takes anywhere between 4-12 hrs. I let it set for 12-13 hrs. *Once set, take snowflake out of solution and let dry for a few minutes. *Take 5 sticks and place them together, in the desired sled shape you wanted. *Cut one stick into pieces, that aren’t bigger than the sled, so it doesn’t show from the other side. *Glue 2 cut pieces over the sled shape, holding it together. *Make 2 glue dots on each cut piece. *Place 1 stick per side for the legs of the sled. Make sure to add extra glue for support. *Once dried, decorate as desired or leave blank. Have you heard of grubby? It’s a way of getting texture & making something look older, which is usually associated with primitive decor. I haven’t seen it anywhere else. There are different ways to achieve this affect through using coffee grounds, cinnamon or using modge podge or wax. 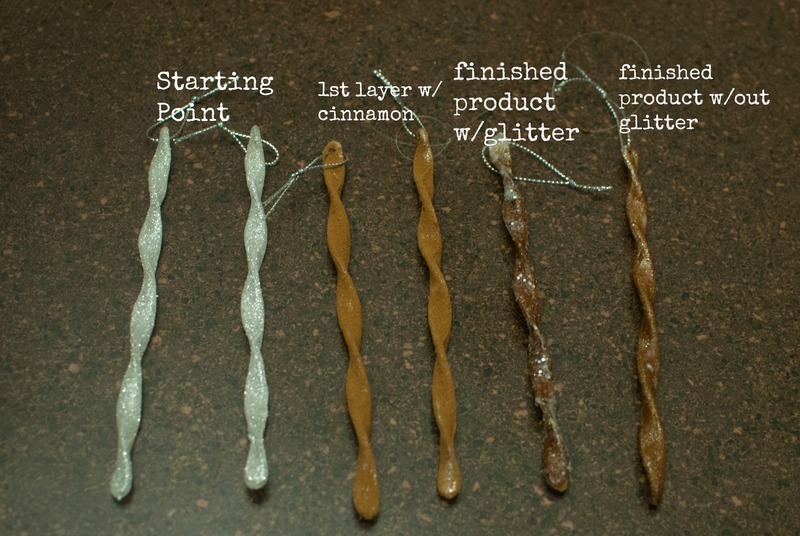 I haven’t done any before but thought I would try my hand at making simple grubby icicle ornaments for my tree. I don’t know about you, but I’m a huge primitive/country chic decor fan. I love it all and can’t wait to fully decorate my house in it. I’m just in love with the look and feel of it all. Be prepared because this is just the beginning of my primitive adventure. 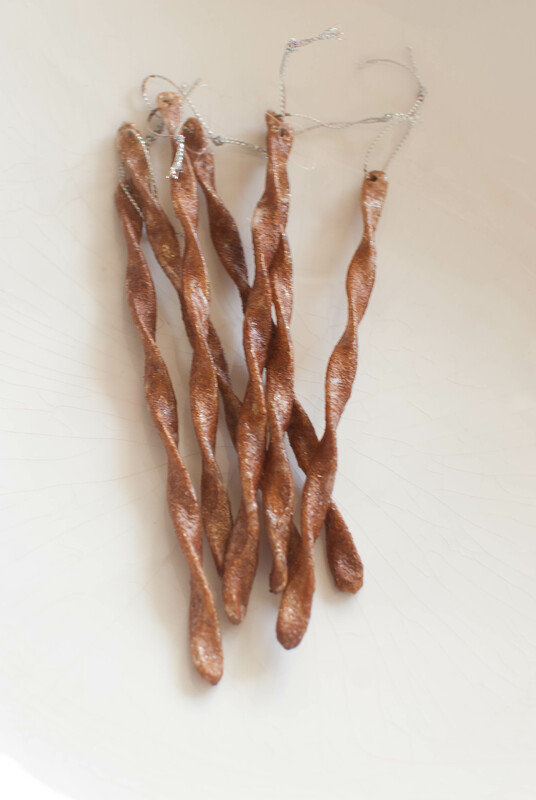 For my icicles I used cinnamon and modge podge. But you can use coffee or candle wax for the grubbying part. Depending on what you use, depends on the result you get. 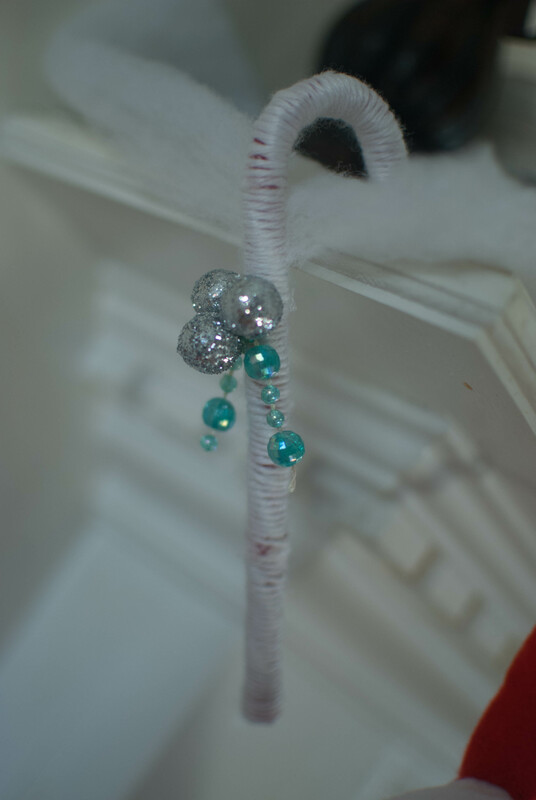 My sparkly icicles are pretty all on their own, but I wanted a more rustic primitive feel. I’ve seen these done numerous times on numerous sites and finally decided to dive on it. This project is pretty straightforwards, easy for the novice to do, but the results are awesome. The biggest part of this project, is the time waiting for the modge podge to dry. I’m pretty happy with the end results, especially when compared to where I started. *Spread modge podge all over the icicles, covering every inch of the icicles. Otherwise you’ll have gaps in it. *Using a spoon, cover the entire icicle with cinnamon. Shake off any excess cinnamon. *Leave to dry for 30 mins or so. I found it easier to let it dry a bit before doing the next step. Otherwise, you’ll make a cinnamony mess. *Once dried for a bit, spread modge podge all the entire icicles again, making sure to cover everything that has cinnamon on it. *Let it dry for a few hours. At 1st it’ll be a white mess, but it’ll dry clear and you’ll get the end result I did. The holiday season is fully upon us, now that Thanksgiving is over. Today is the last day of break so the kids and I decided to do a little fun craft. I haven’t been crafting much so to get my groove back, I decided it was the perfect time to make some gift toppers or ornaments. 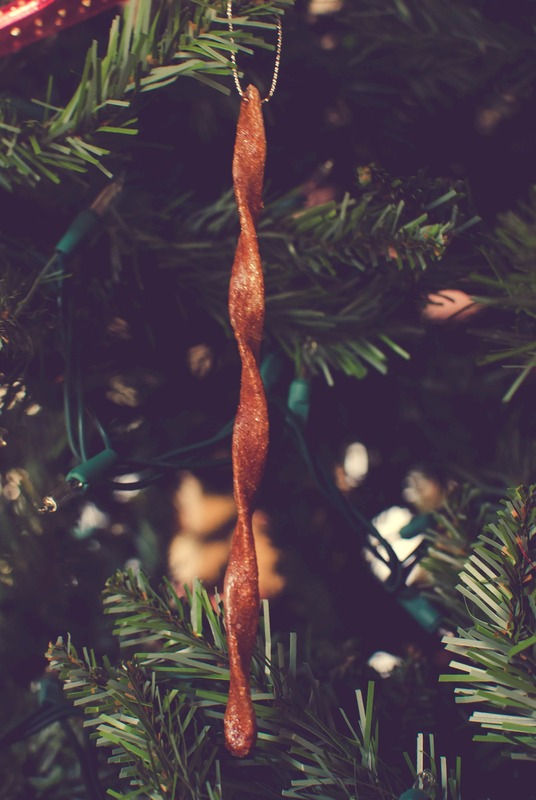 These cute simple candy canes can be used in numerous ways….bunched together as a decoration, a part of the decoration on a wreath, gift topper, or rustic ornament to name a few. 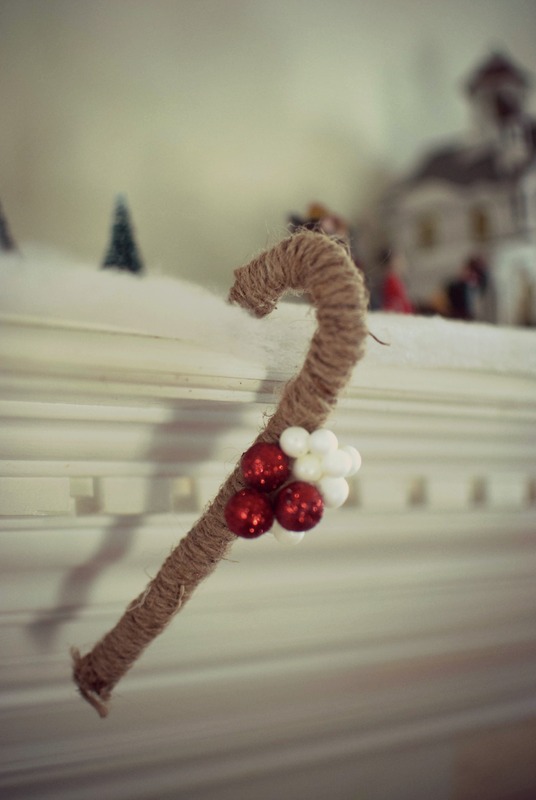 I’m all about rustic, simple, & easy crafts any season, but especially the holiday season. I try to keep things simple for, that way I don’t lose interest in what I’m doing. Having a mind that is always going 100mph is tricky navigate. These were so simple to make, anyone can do it. You can customize them with whatever you like whether you are a bow, berries, string, it’s really up to you. Let your imagination go wild. 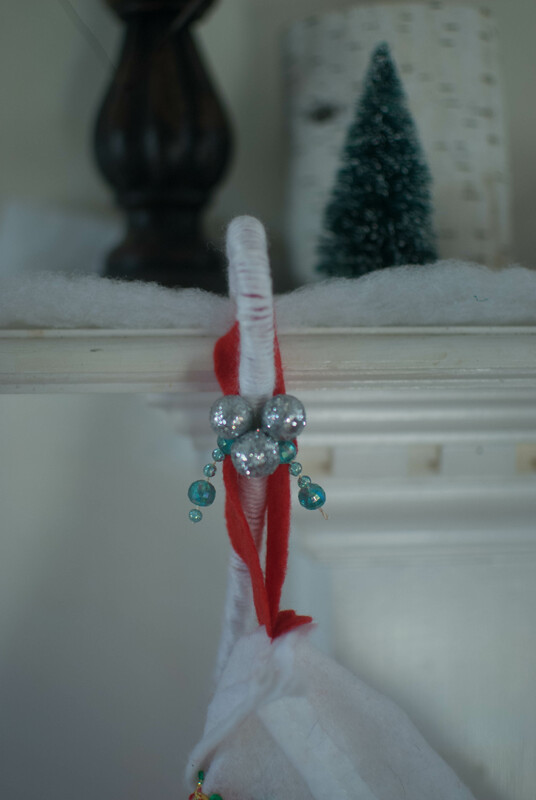 For me, I simply used what I had on hand, which is why I did some with white yarn and some with twine. For now, these little beauties will be decoration on my mantle, helping to hold down the fake snow I put up till Christmas, then they will be basket filler & gift topper. 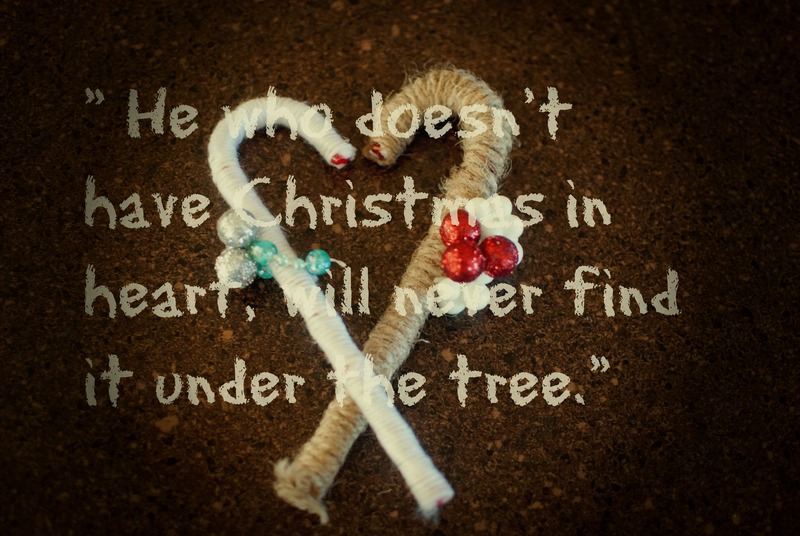 I’ll end this post with a Christmas quote that I love…. What would you use to make these?